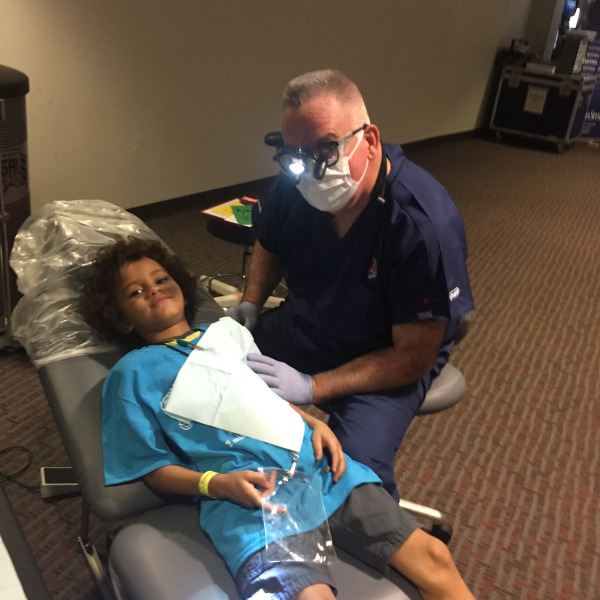 Dr. Sheridan and Staff have been very busy giving back to the community. Dr. Sheridan and Leah treating a young man at Paul Brown Stadium! Dr. Sheridan comforting another young man before treatment!